During part one of our series on choosing the best tennis racket to fit your play style, we listed three of the top tennis rackets currently available for purchase. 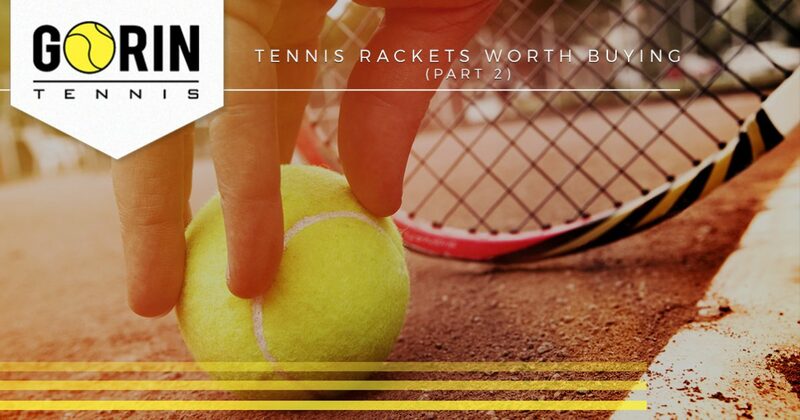 Ranging from moderately affordable to expensively priced, there are a variety of rackets that all offer different characteristics to different players. While some of these rackets may not be as friendly to newcomers, during today’s post, we will outline three more rackets that may be better suited for beginner players. If you are located in Granite Bay or the nearby areas in California and are searching for a tennis academy that is devoted to the success of its players, contact the tennis experts at Gorin Tennis Academy today. With a staff that has been trained by the Global Professional Tennis Coach Association, Gorin Tennis Academy teaches the proven methods that are designed to develop your abilities while on the court. If you would like to learn about some of the best entry level tennis rackets for beginner players, consider reading more on the subject below. With improved control and power when compared to its predecessors, the Head Ti.S6 is the perfect entry level racket for beginner tennis players. The Ti.S6’s oversized sweet spot allows players to generate more power without having to worry about sacrificing precision. Its widely strung pattern ensures that beginner players can practice applying topspin to their shot to improve their return speed while adding an unorthodox element to their toolkit. This lightweight tennis racket may seem unassuming, but many tennis players are beginning to take notice of this widely versatile tennis racket. An incredibly lightweight racket sporting decent power and improved accuracy from previous models, the Wilson Blade 98 is a great entry-level tennis racket that can be found at an affordable price. Starting at around $139, the Wilson Blade 98 offers a comfortable grip for beginners while providing precision accuracy and stability. However, many users have commented on the Wilson Blade 98’s inability to generate sufficient topspin, which many users may find off-putting given that topspin is now viewed as a fundamental technique in modern tennis. Often regarded as one of the finest tennis rackets for beginner players, the Babolat Drive 115 can be purchased for around $150. Featuring a 115-inch racket head size, Babolat’s Drive 115 tennis racket offers an extra large sweet spot for improved power and forgiveness. Weighing just 9.6 ounces, the Babolat Drive 115 provides beginner players with a lightweight racket that doesn’t skimp on power. These are just three tennis rackets that are perfect for beginner tennis players. It is always best to do more research on each product listed to see if they would be a good fit for your style of play. At Gorin Tennis Academy, your success is our priority. That’s why we offer numerous tennis camps and full-time to suit beginners and experts alike. To learn more about our services offered, contact our team of professional tennis instructors at Gorin Tennis Academy today!